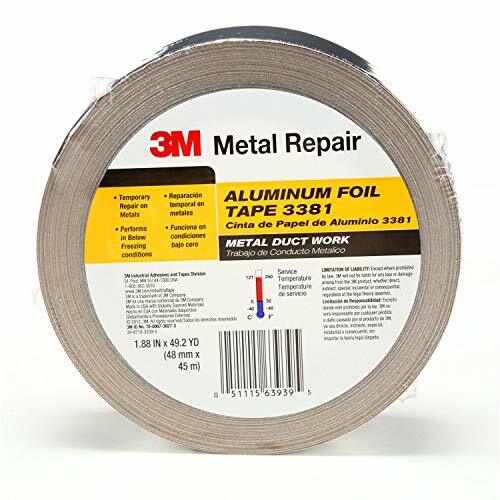 3M silver annealed aluminum foil tape is formulated with acrylic pressure sensitive adhesive serving as an excellent barrier against damaging moisture, dust and certain chemicals for optimal, long lasting results. The acrylic adhesive supplies superior temperature, UV and solvent resistance. Product measures 1.88 inch x 50 YD, 2.7 m.